2013 SAF Scholarship Recipient - Shufflin' Along LLC. Zhailon Levingston is a 19 year old performing arts major at the American Musical and Dramatic Academy in Los Angeles, CA. He got his start performing in many productions throughout Shreveport/Bossier, LA. Some of his favorite productions were Big River, Les Miserables, Rent, You're A Good Man Charlie Brown, Sweeney Todd, and a Raisin In The Sun. Zhailon has performed with Mahagony Ensemble Theatre, Extensions of Exellence Inc., Yazzy Summer Morning Mix, Shreveport Little Theatre Academy and Stage Center Productions. 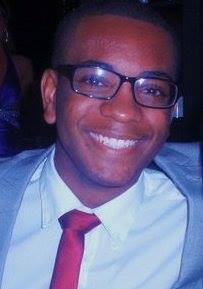 Zhailon has served as assistant choreographer for Honk the musical at Southfield School, and Pippin the musical with SLTA. During his freshman year in college he wrote and directed an original song cycle concert entitled "For You To Fathom" which was produced by his school AMDA. Zhailon was choreographer for Stagecenters production of Winnie The Pooh last summer, and this summer served as co-director and choreographer for Stage Center's main stage musical 9 to 5.